If you are serious about weight training, high quality barbells with weights are indispensable. 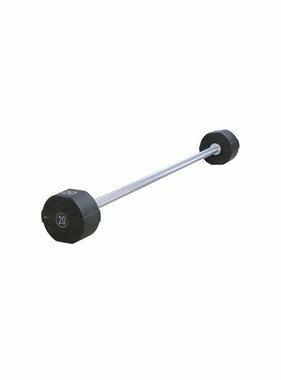 We offer various barbells, so there are always barbells available that match your objectives. You can choose between "straight" or "EZ" barbells. Both types of barbells are available from 10 to 50 kg. Our PU series has a sleek and compact design. The kg mark is shown on both the top, bottom and front, so it is always immediately clear which barbell you grab. In addition to barbells, you will also find barbell racks in our range to safely and conveniently store the barbells. 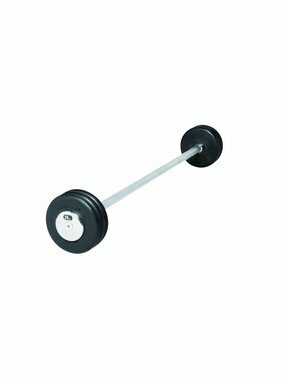 Do you want to know more about the barbells that we supply as a fitness wholesaler? Then contact us for free advice.